Many Aspiring Authors' desire to write a book, many have great stories to tell. 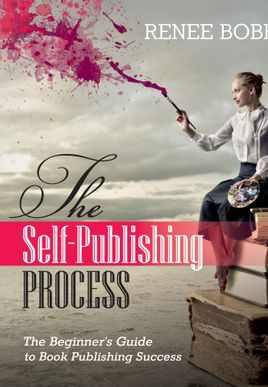 The challenge is that many do not know the first step on how to get started with the publishing process. Renee has been helping writers to publish their books for over 20 years. Renee has taken her years of experience and put them into the Book Publishing Kit. 1. A copy of the top-selling book "The Book Publishing Process: The Beginner's Guide to Book Publishing Success. 2. 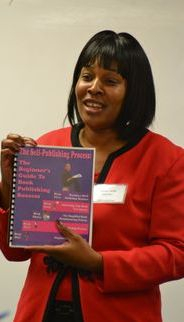 Flash Drive with Book Publishing Coach and Author Renee Bobb teaching you the step-by-step book publishing process. 3. Success Journal which will allow you to keep all of your thoughts and ideas in one place. 4. Book Publishing Resource Guide which has a list of local and national book publishing resources designed to help you through the book publishing process. The Resource Guide includes; Graphic Designers, Printers, Illustrators, Web Designers, Layout and Design Specialist, Book Cover Designers and many more. 5. Writing pen, highlighter and sticky notes. Small group seminars and workshops that are designed to train aspiring authors on how to write, market and publish their own books. 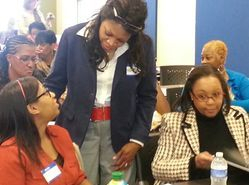 Small group training is held at local libraries, non-profit agencies, churches, corporate retreats and in the homes of groups of friends that desire to learn how to publish a book. One of the highlights of Renee's career in the book publishing industry is the opportunity to offer customized one-on-one book publishing coaching sessions. During these sessions Renee will help you get crystal clear about the kind of book you desire to publish, customize a step-by-step book publishing process that fits your goals and budget, and also provide you with the tools and resources to achieve your goals. Every month Renee hosts an empowering book publishing workshop where she helps aspiring authors understand the process of publishing a book. Renee brings in experts in the industry to include published authors, graphic designers, editors and publishing company CEO's. The goal is to help you build your support system of experts that will help you write, market and publish your own book. Each workshop is different as Renee incorporates the latest technology, resources and tools to help you publish your book. Many authors do a great job with publishing their books, but find it hard to market, promote and sell their books. Renee is the owner of the Music City Icons Semi-Professional Women's Basketball Team located in Nashville, TN. Mayor Megan Barry and Renee at the IfundWomen.com crowdfunding event at the Nashville Entrepreneur Center. With the help of many supporters Renee was able to raise $10,000. The Book Publishing Lady has trained over 10,000 people how to write, market and publish a book. The Book Publishing Lady has successfully coached well over 3,700 aspiring writers on to turn their passion into a profitable book. The Book Publishing Lady has over 20 years of experience in the publishing industry. The Book Publishing Lady has won many business awards for her expertise in the publishing industry. The Book Publishing Lady has a team of experts to include: Graphic Designers, Editors, Illustrators, Printers, Ghost Writers, and many more professionals in the publishing industry. The Book Publishing Lady has written and published over 9 books to include her top-seller, "The Book Publishing Process: The Beginner's Guide to Book Publishing Success". 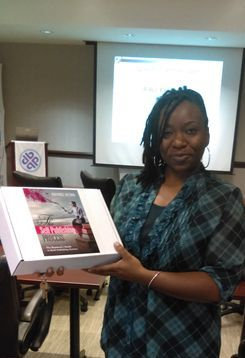 The Book Publishing Lady specializes in education, empowerment and producing results.